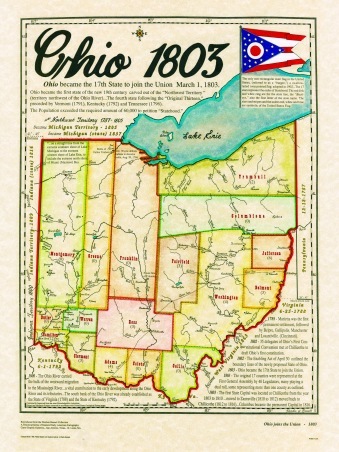 This section is a cartographic story of how each state achieved statehood status, from the 13 colonies to the reconstruction days following the Civil War. From the 1st state to ratify the United States Constitution, Delaware, to the 37th state, Nebraska in 1867. If you need a West Virginia map with how the counties were layed out in 1863, it's here. Vermont in 1791, the 14th state or Alabama the 22nd state in 1819. Maine 1820. Once a province governed by Massachusetts. 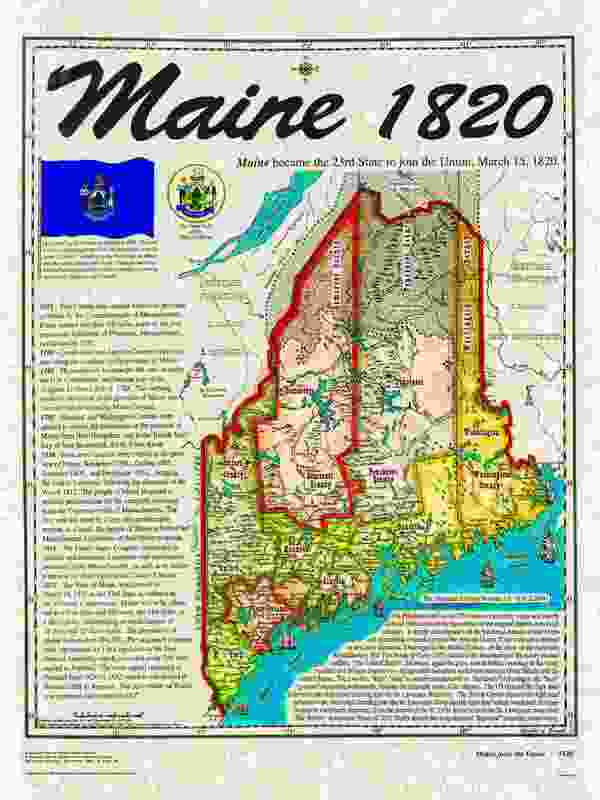 The Compromise of 1820 or commonly refered to as the Missouri Compromise outlined the provision which Maine would become the 23rd State. 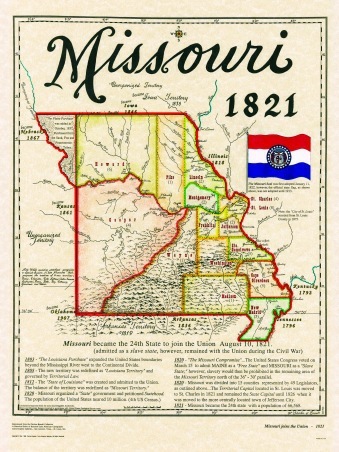 Missouri 1821. 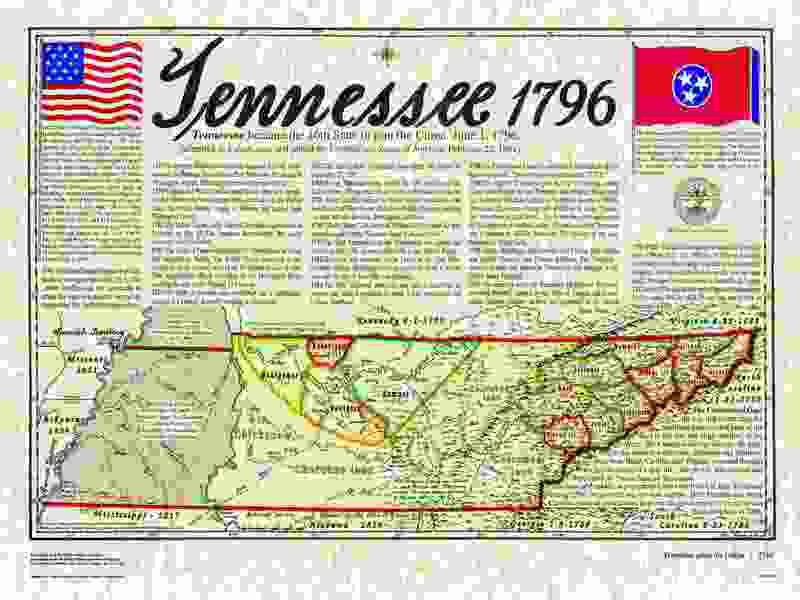 Actually petitioned statehood status in 1819, when Alabama was admitted as the 22nd state, however, the slavery issue was fast becoming a serious political issue, which delayed the recognition of Missouri until the Compromise of 1820 was drafted which prohibited slavery north of the 36th parallel. 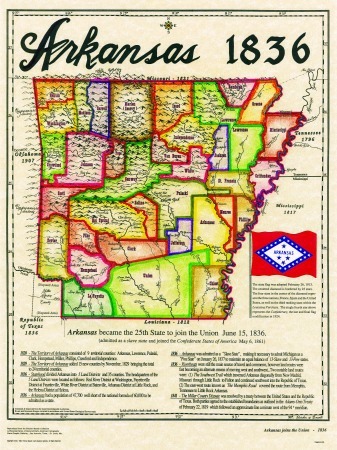 Arkansas 1836 the 25th state, the 1st new state in 15 years. This changed the American Flag from 24 stars to 25 stars. The 24 stars which flew a lengthy 15 years, became know as "Old Glory", the first nick name since the original "Star Spangled Banner". 1836 was also the same year a new republic was created, The Republic of Texas. 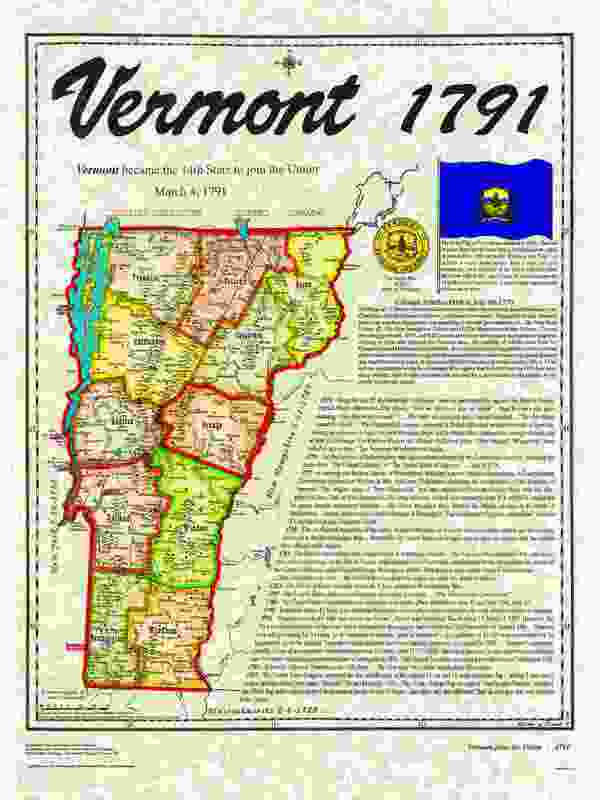 Vermont 1791, the 1st new state to achieve "statehood" status, entered the Union as a "Free State". 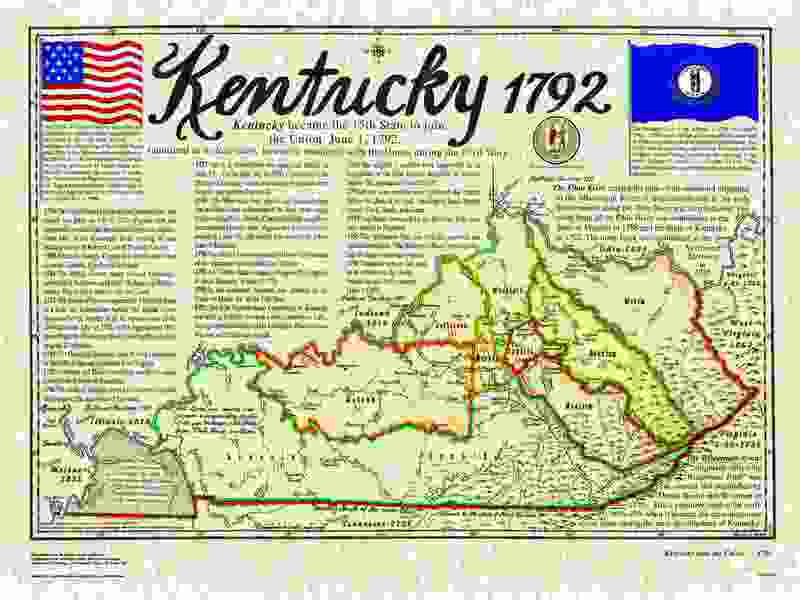 Vermont became the 14th State, although Kentucky was also eligible to become number 14, politics chose Vermont, and Kentucky followed in 1792. 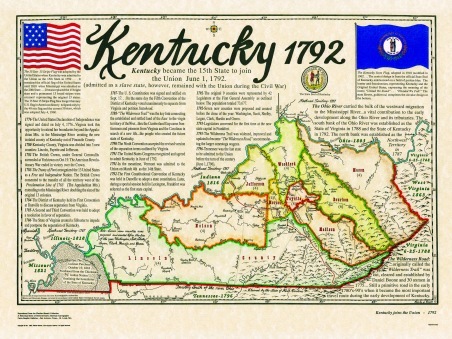 Kentucky's "Statehood" changed the official American Flag to 15 stars and 15 strips, which became the original "Star Spangled Banner". This American Flag held the record as the longest flying flag in American history, until eclipsed by the 48 star flag in 1912. 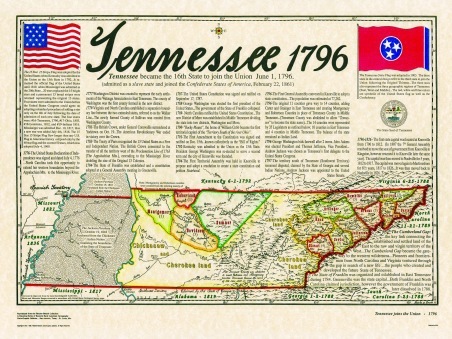 Tennessee became the 16th state in 1796. George Washington bids farewell after 2 terms. John Adams was elected President and Thomas Jefferson, Vice President. Andrew Jackson was chosen as Tennessee"s first delegate to the United States Congress. 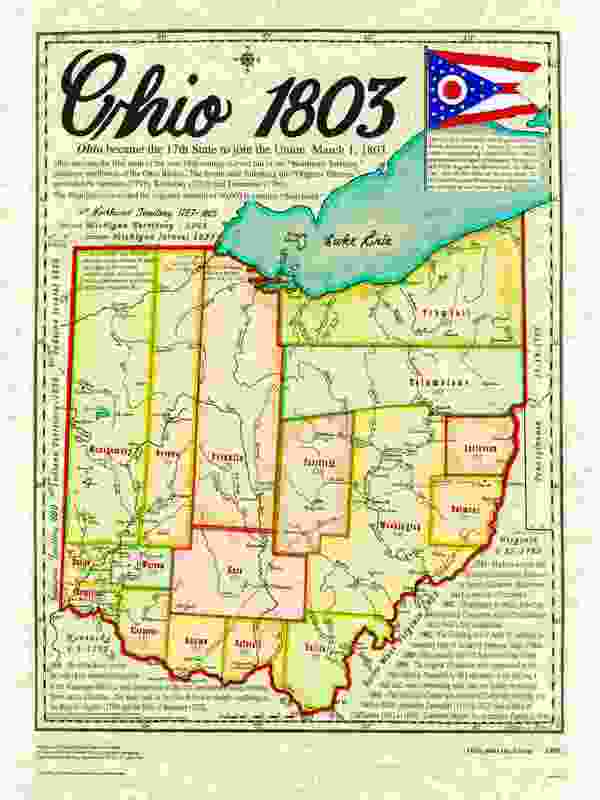 Ohio 1803 the 17th State, the 1st stste to be created out of the "Old Northwest Territory" that's north west of the Ohio River. 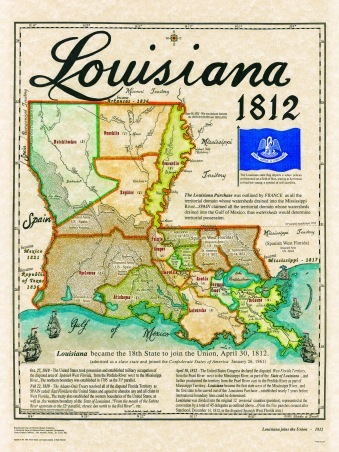 1803 was also the year of the Louisiana Purchase, whe the United States extended the western boundaries from the Mississippi River to the Continental Divide. 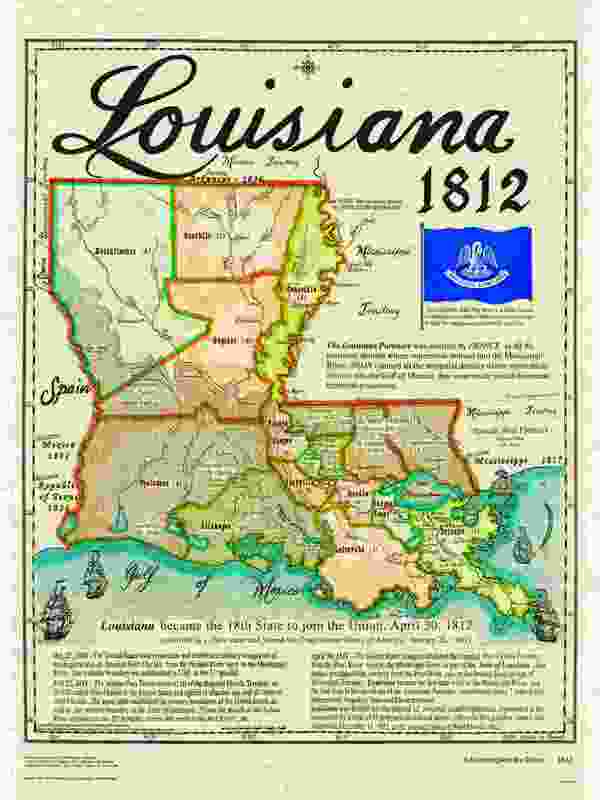 Louisiana 1812 the 18th State was created during the War of 1812. Note the shaded area still claimed by Spain. I would be 7 years later, 1819, before the Adams-Onis Treaty would settle this territorial dispute with Spain. 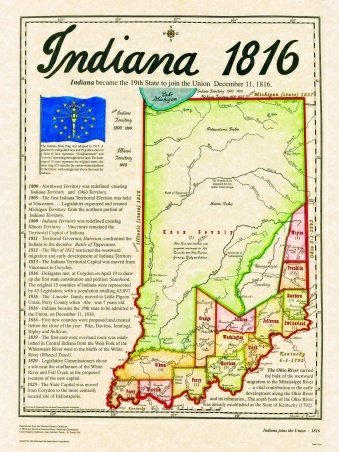 Indiana became the 19th State to enter the Union. 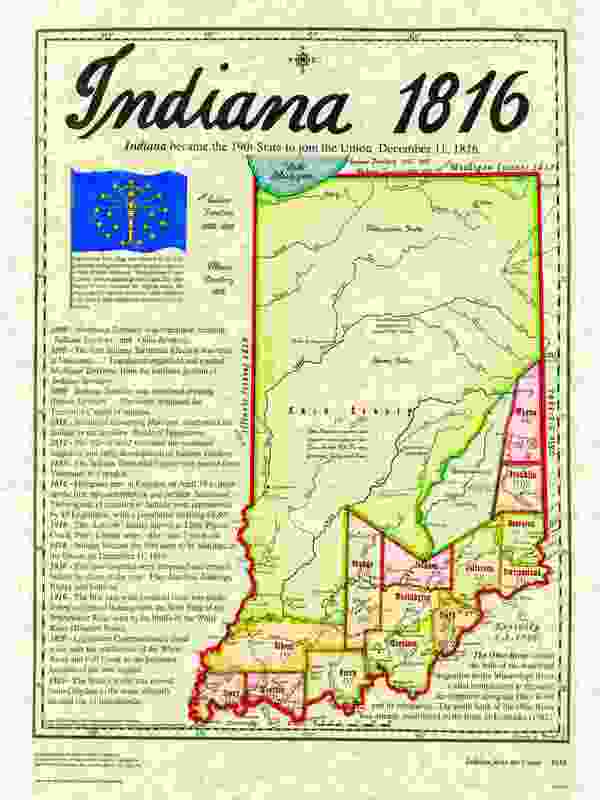 The Indiana State Flag was adopted in 1917. A gold torch with golden rays and 19 gold stars on a field of blue representing Enlightenment and Liberty spreading throughout the land. 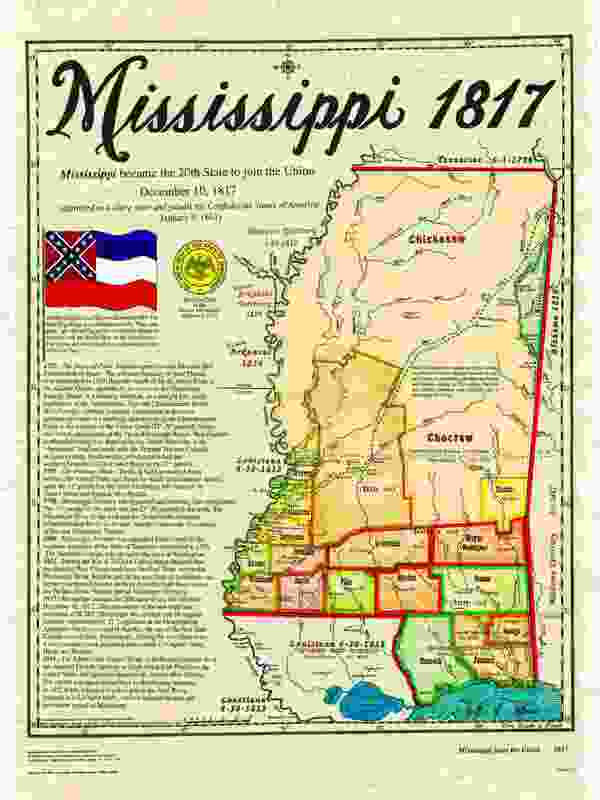 Mississippi was the 20th State to join the Union. This was the time when the American Flag changed from the 15 stars and 15 stripes to the new standard 13 stripes, and only a new "star" for each new state. 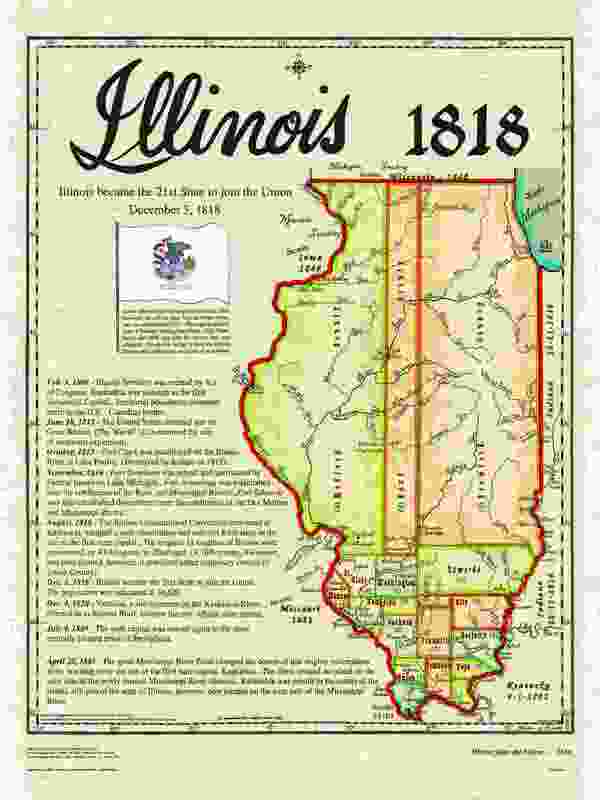 In 1818 the Illinois Constitutional Convention convened at Kaskaskia and adopted a state constitution and selected Kaskaskia as the site of the first state capital. 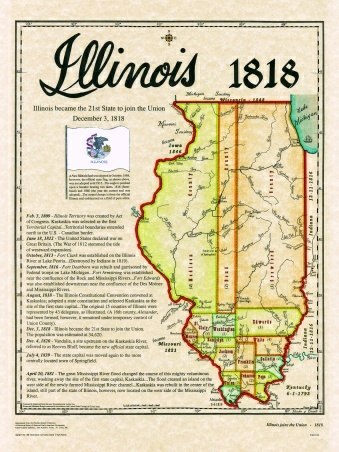 In December of 1818 Illinois became the 21st State to join the Union. 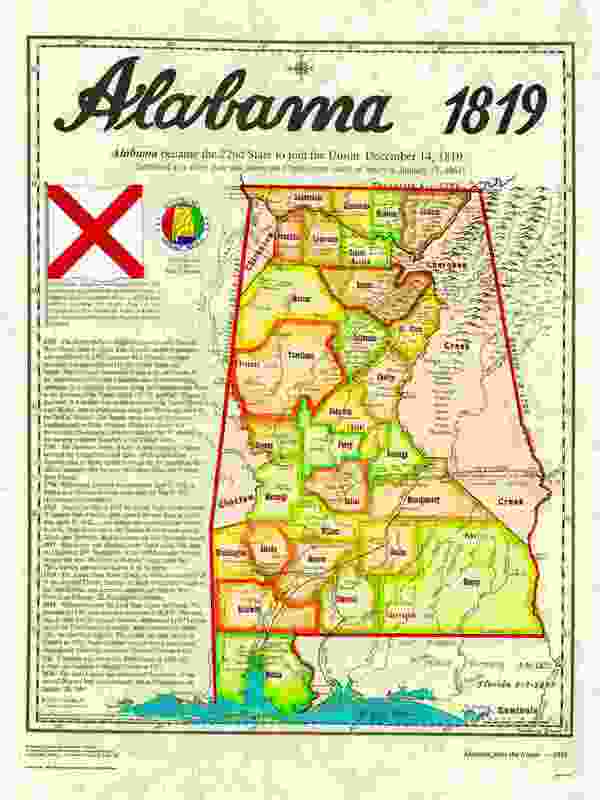 Alabama the 22nd State to join the Union. 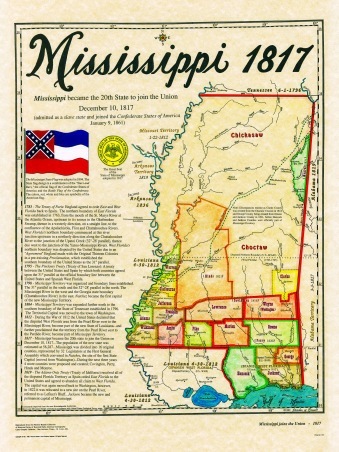 In 1817 Mississippi was admitted to the Union as the 20th State. The balance of old Mississippi Territory became the "Territory of Alabama". 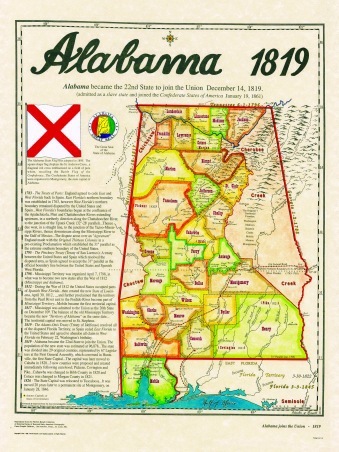 By 1819 Alabama became the 22nd State to be admitted to the Union. 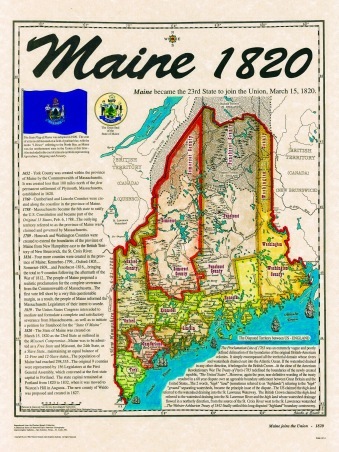 The State of Maine was created on March 15. 1820 as the 23rd State as outlined in the "Missouri Compromise". The State flag of Maine was adopted in 1909. The symbols included in the coat of arms represents Agriculture, Shipping, Forestry. In 1820 Missouri organized a "State" government and petitioned Statehood. "The Missouri Compromise" voted on bt hthe United States Congress March 15th to admit Maine as a Free State and Missouri as a Slave State. By 1821 Missouri was admitted to the Union. Michigan became the 26th State to join the Union three years after petitioning for Statehood in 1834. 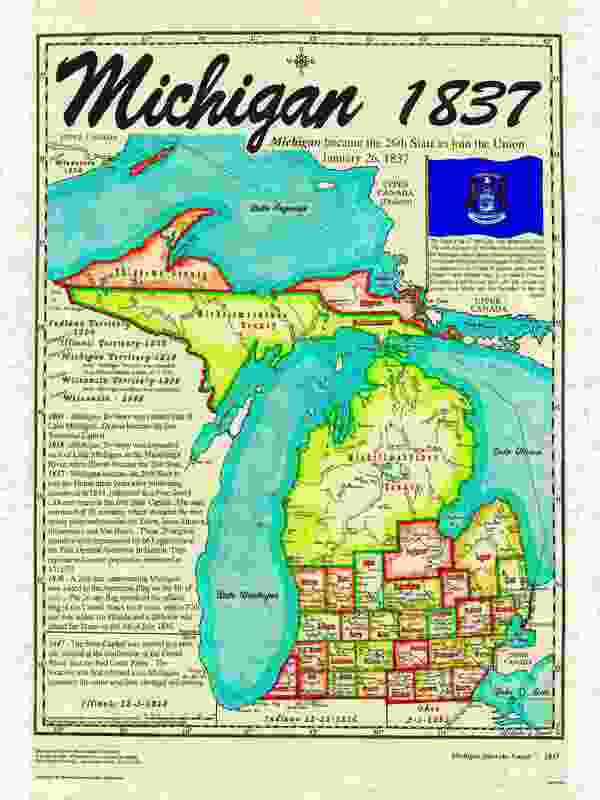 A 26th star, representing Michigan, was added to the American Flag on the 4th of July 1837 and remained the 26 star flag of the United States for 8 years until a 27th star was added for Florida in 1845. 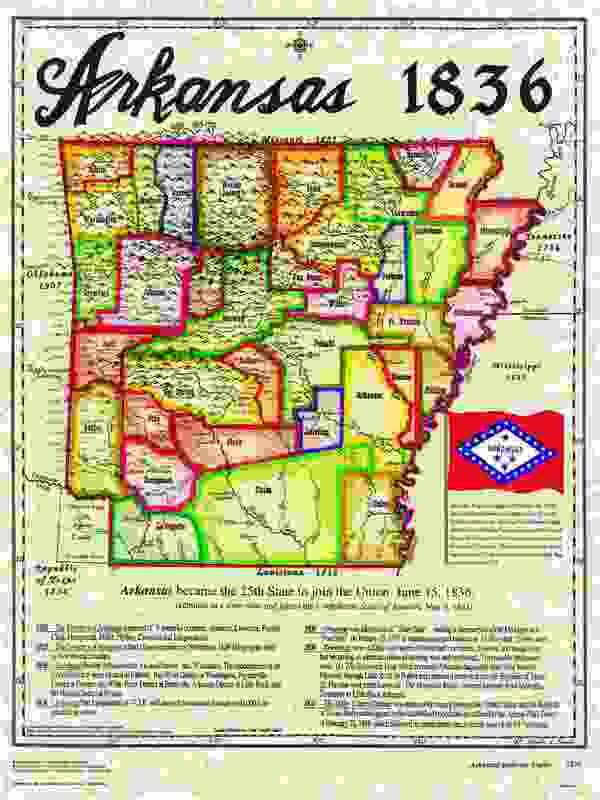 Arkansas becomes the 25th State to enter the Union. This changed the American Flag from 24 stars to 25 stars. The 24 star flag flew for 15 years and became known as "OLD GLORY", the first nick name since the original "STAR SPANGLED BANNER".